The official ground breaking of the Southern Arkansas University Science Center was held from 12:15 to 12:45 p.m., Friday, October 24, west of the Business Building. 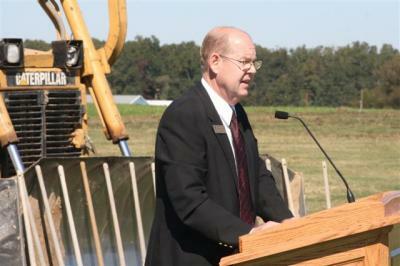 The groundbreaking included brief comments from SAU President, Dr. David Rankin, Jasper Lewis, associate vice president for facilities, Dr. James Rasmussen, chair of the biology department and Kara J. Way, a senior pre-med biology student. Refreshments and light hors d’oeuvres were served. The University Science Center is planned to be completed within the next year, a timeframe that will coincide with the University’s Centennial Celebration. “This is going to be a tremendous facility with state-of-the-art technology that will serve students who are beginning our next centennial of success at Southern Arkansas University,” said SAU President Dr. David Rankin. The cost of the 64,000-square-foot project is estimated to be $16,747, 986, which includes the main building, district cooling system upgrade, parking, landscaping, furniture, audiovisual equipment and design fees. The general contractor for the project is CDI Contractors of Little Rock and the architects are WER and Associates of Little Rock. The new facility will house the departments of biology, chemistry, and physics within the College of Science and Technology. Planning for the Center began in 2003 when the Arkansas General Assembly appropriated $240,000 to SAU to prepare a proposal for a science and technology building. 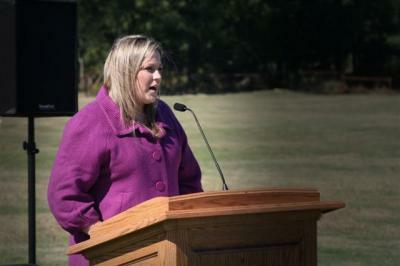 During the next two bienniums, the University received additional funding, and in 2006, Governor Mike Huckabee awarded $601,747 to the project. Governor Mike Beebe followed with a $1 million award in 2007. As a result of a special election and the passage of the Higher Education Technology and Facility Improvement Act, SAU will receive $1,432,980 for the project. The University has also issued bonds in the amount of $14 million. The SAU Foundation is continuing to seek gifts for the completion of this project. Naming opportunities are available for many of the classrooms and offices. 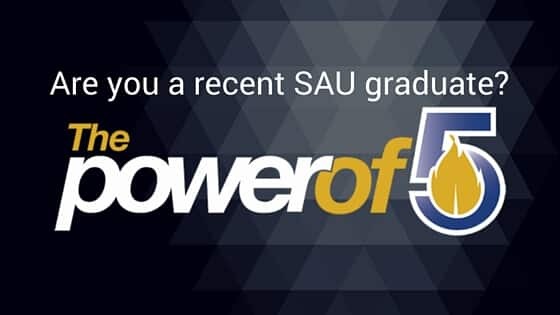 Please contact the SAU Foundation at 870-235-4078 for more information.